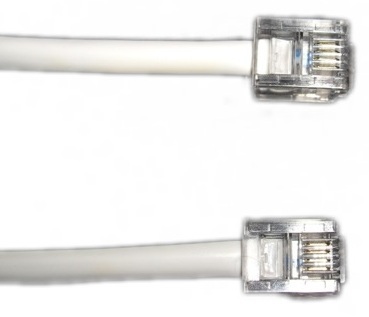 High quality RJ11 to RJ11 patch lead, suitable for patching modems & routers to ADSL & VDSL faceplates & filters. Made from high specification white CW1308 cable, this twisted pair cable offers excellent noise rejection. 1m length. Both plugs have gold plated connectors.